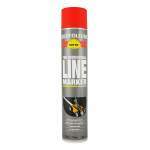 Hard Hat line marking aerosol sprays, for car parks, sports pitches etc. 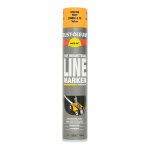 For use with RUST-OLEUM line applicators, ideal for drawing lines in parking areas, plants, warehouses, sports fields, stadiums and all sites where traffic control is required. 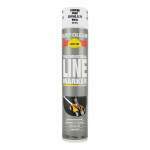 Adjustable line width from 5 to 10 cm, up to 120 meters per can at 5 cm line width. 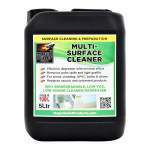 Will adhere to asphalt, concrete, grass, metal, wood and can be applied at temperatures as low as 0. Rust-Oleum Industrial 2366 Hard Hat Line Marking Spray Red is available in 1 colours from the Rust-Oleum Industrial Colour Cards. RUST-OLEUM® HARD HAT lining paint is fast drying and ideal for use or asphalt, concrete, grass, metal, wood, etc. 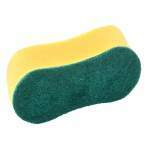 For use in line applicators. Recoat time: within 1 hour or after 48 hours. Shake vigorously for at least one minute after rattle of mixing balls is heard. For optimum Jesuits use if temperature of can is above 0°C and relative humidity is below 85%. After use turn can upside down and spray three times to clear valve.